Which Trainers? Running, trail, gym…. We had an interesting little chat in Fitcamp the other morning and few of the gang were talking about changing their trainers. Various reasons and suggestions were put forward – I thought this info graphic would go somewhat to help the decision making process. 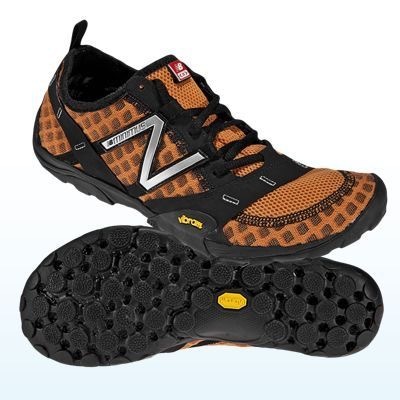 For years now I have worn and recommended New Balance Minimus Vibram trail shoes. They are light weight, very flexible almost flat for a barefoot style and take the stresses of the multi directional training included in my sessions. I first swapped after attending a seminar on barefoot running – although I NEVER run – it was an interesting talk and very persuasive. The main takeaway was that high heels hurt your knees and back! What a surprise – we girls have known this for ever – but trainer makers never related that to sports shoe design. So here’s bit of history (science) to persuade you too. My occasional knee niggle is long gone, the impact work we do doesn’t present any problem even tho my shoes have very little traditional support. Next time you’re thinking of buying new training shoes, consider what you want to do, what you want to achieve. If you are with us and not planning on spending hours on useless cardio machines, intend on mixing your strength and cardio training into,super effective metabolic conditioning sessions you’ll need a flexible, supportive low profile shoe with good grip and adjustable fit. This is very similar to the shoe I use. I searched online for ‘Sports Shoes Direct’ they have good sales – especially once you know your size. These are NOT cheap shoes – but I wear them everyday and they last very well. Old style shoes with thick soles break down inside – you think you’ve got a supportive shoe but the cushioning structures have crumbled tipping you even further forward than before. Other makers to look at are Merrel and Sketchers. 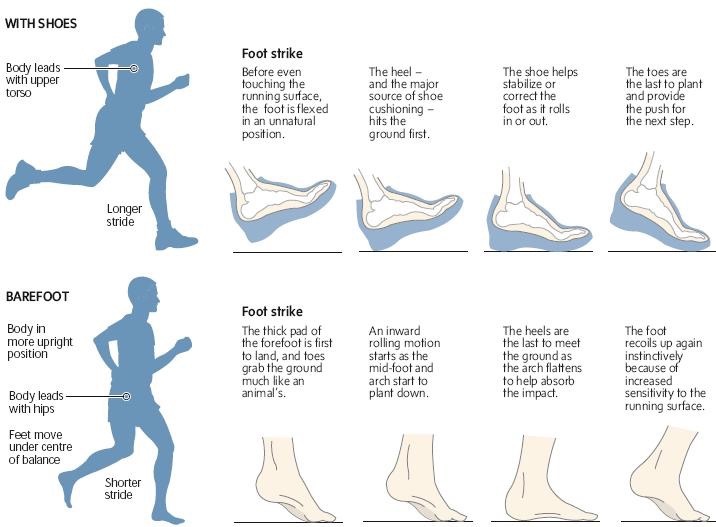 Sadly, I don’t really like shoes that I’ve seen from Nike and Adidas – they are still built on a wedge sole, even tho’ much lower than in the past, and usually have an unstructured upper that stretches and warps when under strain of multi-directional training. I’ve recently done two Active ageing and Functional ageing training courses, the take home from both was that we need to spend time barefoot or as close to it everyday. To keep muscles working and responsive but also to stimulate the feedback mechanisms in our feet – soles, toes and heels. The ‘use it or lose it’ rule applies to this aspect of fitness too. I believe you will move better as a result of more feedback from your feet, your muscles will absorb impact rather than your joints and you’ll have less hard skin and callouses too! 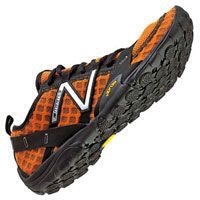 These shoes even come in width fittings – so no more bursting out the sides of your running shoes when you train laterally or blisters from your narrow feet moving inside a wide shoe. Remember as a species we’ve been moving for thousands of years, no-one needs to run for miles and miles to be healthy and fit. If running is your sport – that’s your choice. But to get the best fitness bang for your buck (time) you’ll be cutting down pure cardio, increasing resistance training and hopefully combining the two, so an adaptable shoe is essential.